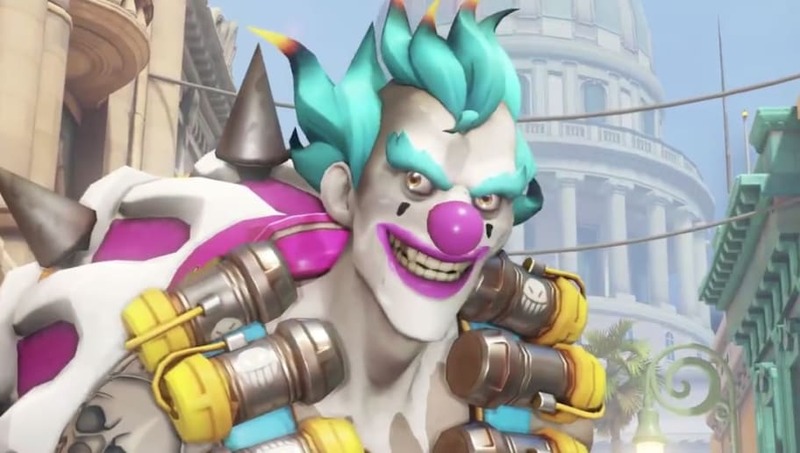 Junkrat clown skin has finally arrived! Well, it's been revealed and will be purchasable on April 16. Junkrat might be the closest Overwatch character to a Joker crossover since he loves chaos and blowing things up. The Junkrat skin will be one of many for the Overwatch Archives event Storm Rising. This is the second skin revealed for the event as Talon Baptiste was shown earlier in the week. This isn't much of a surprise as the event was only revealed on Monday. Clown Junkrat will be an epic skin.